VACCINES - Long Live The Dogs! "Annual re-vaccination provides no benefit and may increase the risk for adverse reactions"
All vaccines create a weak and vulnerable immune system and can be attributed to a vast array of health problems. Vaccines stimulate the immune system in an unnatural way with live and killed strains of virus and bacteria, synthetics and dangerous additives. They immediately increase inflammation in the body and brain and can overwhelm and confuse the immune system on many levels both short and long term. “What do we do to ensure that children who are vaccinated at an early age, usually less than 6 years old, still have immunity at 20, 40, 60, or 90 years of age?” We rely on memory cells of the immune system! That's Science. 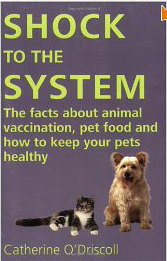 Since vaccines for people are similar in many ways to canine or feline vaccines, since the immune system of a person is similar to that of an animal and since immunity persists for the life of a person (average70+/- years), then why wouldn’t immunity from canine or feline vaccines persist for 10 to 15 to 25 years or more? Scientifically proven: BOOSTERS (re-administration of vaccines) do NOT enhance immunity. Since vaccines bombard the immune system unnecessarily, it does the opposite. There are NO scientific studies supporting the use of BOOSTERS. Where is the disconnect? A White coat should not stop us from protecting the innocents, researching and thinking for ourselves: Veterinarians gain a large percentage of income from vaccines. 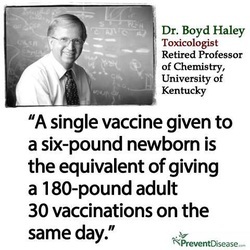 On average vaccines cost 60-95 cents per dose and charged $15 - $100+ per injection. WHY DO WE THINK VACCINE REACTIONS ARE RARE? FACT: Less than 1% of all vaccine reactions are reported and of those, 90% go to the vaccine manufacturer. Only 10% of that 1% get sent to a federal reporting agency. The CVB (Center for Veterinary Biologics) is responsible for approving and labelling and veterinary vaccines, and for tracking adverse events. This information is NOT available to the public nor veterinarians. They call it “proprietary” and property of the vaccine manufacturers. there is NO place where vets, you or I, can find reports on their safety. Where do they get that number if there is no reporting agency and public statement is they do not accept reports or incidents? RESEARCH: determine if brands and forms they use are right for your dog: live or killed virus, additives, preservatives, side effects, contraindications. ALL vets say they are "SAFE" but not one suggests reading manufacturer's warnings. If you want the true stories, read real life blogs and stories. There are no published adverse events - published data to validate these concerns is lacking due to no independent mechanism to report US Vaccine Reactions (Quote from Pfizer). Caveat Emptor: They are selling them so of course they ignore the dangers. Your job is to protect your dog. ​You can ask the vet to use whatever form/brand YOU think is best for your dog (not which manufacturer is cheapest and with the highest kick back). RETHINK what Veterinarians are. We think of them as our friends when in fact they are a friendly business, selling specific drugs and procedures. Sometimes this is good and sometimes it is not the best choice for health and longevity. They are human, fallible and only provide a small portion of options while telling the consumer if they don't have it or sell it then there is no other option. It is your right to be informed consumer to protect your pet, not just follow commercial business recommendations as " the only option" and " highest and best" for you and your loved ones. Homeopathic: Professional homeopath prescribes best remedy for each dog. Traditionally this includes THUJA but not always. Puppies, cats and dogs have suffered dramatic changes in behavior or been diagnosed with cancer, symptoms of autism, epilepsy and other neurological diseases within months of receiving vaccine injections. Many veterinary professionals are concerned that vaccination is a risk factor for serious autoimmune diseases such as the potentially fatal canine disorder, autoimmune hemolytic anemia (AIHA). Delayed vaccine reactions have been shown to cause thyroid disease, allergies, arthritis, tumors and seizures in both cats and dogs. Vaccination of any sort also elevates histamine which can promote cancer, chronic inflammation and loss of tolerance. In general, all vaccination creates immune dysregulation and is responsible for a vast array of pathology. ​Many in the holistic veterinary community believe what vaccines do inside your pet’s body is change the form of diseases from acute to chronic. There is also evidence of a connection between feline immunizations and incidents of vaccine-induced sarcomas (a type of cancerous tumor). Ask your vet why they vaccinate in the lower limbs now. They will tell you, with a smile, that if they get cancer at the injection site, they will be able to amputate the leg and save the life of your pet. Really, you are going to buy that and pay for that? WHAT ARE VACCINES DOING TO HUMANS AND PETS ALIKE? Ruth Berkelman MD (Former Assistant Surgeon General, US Public Health Service): “The potential for both exposure and for adverse consequences secondary to exposure to veterinary vaccines in humans is growing. Enhanced efforts are needed to recognize and to prevent human illness associated with the use of veterinary vaccines”. Dr. Berkelman noted that pertussis and whooping cough-like complaints in children followed exposure to Bordetella bronchiseptica from the Bordetella vaccine and it is no coincidence that Bordetella bronchiseptica and whooping cough pertussis are very closely related. The rate of whooping cough is highest in highly vaccinated populations. Humans have been known to become infected with Leptospirosis through transmission of Leptospira from their vaccinated dog. Immunocompromised humans and animals are at an elevated risk of infection from these canine vaccines. Vaccines contain contaminating agents including mycoplasmas which are also very communicable to humans and other mammals. ...if you include in this, the toxic effects of high levels of aluminum and formaldehyde contained in some vaccines, the synergistic toxicity could be increased to unknown levels. There’s the formula for disease and death. Remember puppies and kittens are much smaller than babies yet they get 5 or more vaccines at a time. What do you think about your vet’s concern and qualifications now? Always ask yourself if the method they advocate supports the health and well being of your pet OR creating sick pets for future business (that they can’t heal), the pharmaceutical establishment and their pocketbooks. Caring for your pet or someone's pocketbook? Has a DVM ever suggested you read the manufacturer's warning insert or at least discuss the potential short and long term side effects? Do they merely assure you vaccine manufacturer's have told them vaccines are safe and there is solid science behind them? We research what brand and features of stereos and mobile phones to buy with more vigor and care than we do the safety of those we are bound to protect. The markup on rabies vaccines is often 2400 to 6200%. Estimated that removing just the one-year rabies vaccination/office visit for dogs could reduce a veterinarian’s income from $87,000 to $25,000. This example involves just one variety of one vaccine and only dogs. 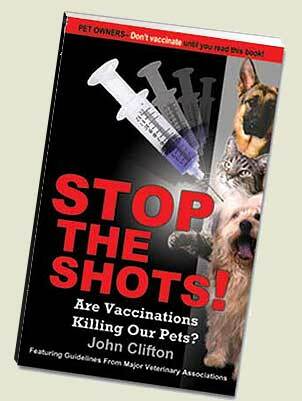 A conservative estimate is that over 1/2 of dog visits and nearly 3/4 of cat vet visits are for vaccinations. The drug vaccine manufacturers have had an increase in sales of 7% per year for over 10 years. The U.S. is the largest consumer of vaccines by a huge margin over any other country. BORTADELLA Intranasal or injection: *killed vaccine only. Suggested prior to boarding, grooming, dog shows only and used for liability, not for protection of our pets. Interesting: recent study suggests natural immunity to whooping cough lasts at least 30 years, whereas the immunity from vaccine lasts 3 years. Suggested reading: Vitamin C protocol - and other healthy options with holistic Vet if bortadella is contracted. Intranasal: 72 hrs to take effect vs. Injection: 2 weeks to take effect and since pets are already exposed to this pathogen at a young age, they don’t need a vaccine for it as they’ve developed their own immunity naturally. 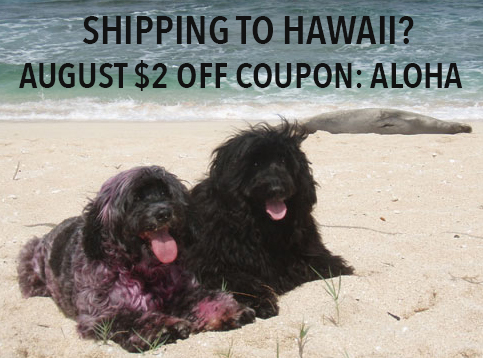 Protects against only 2 of 8 causes of kennel cough. A major problem with the Bordetella vaccine is that it is part of a combination vaccine. Unbeknownst to most pet owners, the Bordetella intranasal spray also contains Parainfluenza (the vaccine for which is not surprisingly, just as ineffective as Bordetella). Although Bordetella is a bacterial vaccine, we now know that bacterial vaccines present the same threat as Modified Live Vaccines. Modified Live Viruses from human vaccines are now known to become incorporated in the genes of the host and can shuffle, reassert, and reactivate thirty or more years after vaccination. CORONA Not recommended. Side effects outweigh vaccine. Extremely rare disease, only affects dogs less than 8 wks old. Efficacy of vaccine questionable. IgA Mucosal antibodies needed. LEPTOSPIROSIS Only addresses 2 OR 4 of over 200 strains, not 100% effective and treatment if exposed is simple and effective with standard antibiotic. Side effects outweigh benefits. Of the core vaccines, this has the highest rate of side effects. There are definite risks to the lepto vaccine but the most compelling reason to steer clear is the scientific KEY FACT: even if your dog survives this dangerous vaccine without any apparent short term damage, he is only protected for a couple of weeks for the serovars that are most likely to cause harm. We wish we could say that there was an effective solution to protecting your pets from lepto but vaccination isn’t the panacea that many vets claim. Fear Factor? In Texas, there average only 12 cases of Lepto annually. GIARDIA Caution, not recommended. Efficacy of vaccine unsubstantiated by independent studies. PARAINFLUENZA Only protects against 1 of 8+ causes of kennel cough. See Bortadella information above for more bad news. BOOSTER BEFORE BREEDING Useless. Does not increase maternal antibody transfer in colostrum, may harm it or at the least, mother’s milk will neutralize it. Of course, it will not neutralize the chemicals included in the vaccine, those will be passed on as heavy metal toxicity and all health risks associated with them. Heavy Metals cross the blood brain barrier, are indicated as predisposing cancer, seizures, autoimmune disease and more.